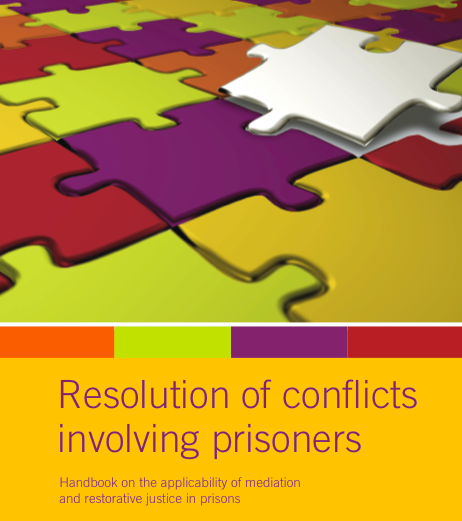 This Handbook is the first manual that provides guidance to how to facilitate peacemaking circles in the European context, especially in continental legal systems. The full text of the Handbook can be freely downloaded in pdf format from this link. This publication is primarily directed to an audience of practitioners who have already become experienced in mediation and/or in other restorative practices and are open to experiment with peacemaking circles in their practice as circle facilitators. The Handbook first offers an overview on the circle method compared to other restorative practices. The second chapter goes through the circle process step-by-step. 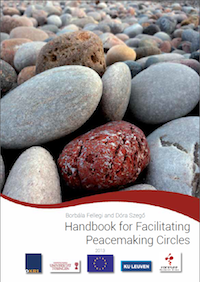 The final part of the Handbook presents ten case studies of peacemaking circles carried out within the framework of the project in Hungary, Germany (written by: Beate Ehret) and Belgium (written by Davy Dhondt). Finally, a list of recommended books and articles as well as a useful handout is included related to preparing and conducting circles. 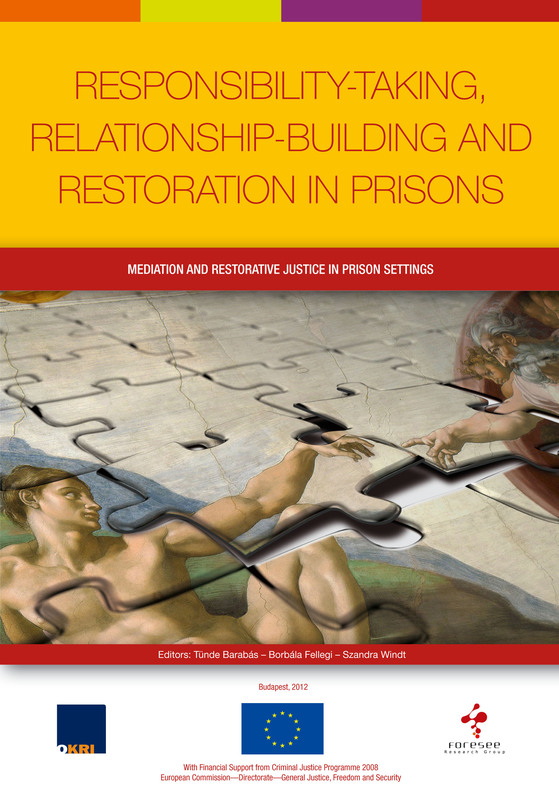 The Handbook was prepared within the framework of an action research project that was conducted between 2011 and 2013 involving Germany, Belgium, and Hungary with the Financial Support from the European Commission’s Criminal Justice Programme 2010 (No. JUST/2010/JPEN/AG/1609). This project aimed at experimenting with peacemaking circles in these three European countries, which have similar legal roots. Furthermore, the objective was to explore whether this method can be implemented into the European continental legal systems, and if so, how. The consortium was led by the University of Tübingen (Germany) and by Prof. Dr. Elmar Weitekamp; with partners from the Catholic University of Leuven (Belgium), the Foresee Research Group (Hungary), and the National Institute of Criminology (Hungary). Within the framework of the project, peacemaking circles were piloted in almost 30 cases (primarily but not exclusively criminal cases). These cases were part of an action research that tested both theoretically and practically the applicability of circles in countries that are all governed by the legality principle and the rule of law. As an outcome of the project the participating countries have prepared a complex research analysis of the circles and the legal and institutional background in the three countries. As another outcome of this project we prepared this Handbook. The content of this booklet is, on the one hand, based on the training that all the project partners received from the Gatensby brothers who reside in the Yukon (Canada). Phil and Harold Gatensby are two of the pioneers who not only apply circles, but also help practitioners outside of Canada in transferring this Indigenous practice into other cultures and contexts. On the other hand, this booklet is based on those practical lessons that we have learnt while experimenting with the circle method in our countries. 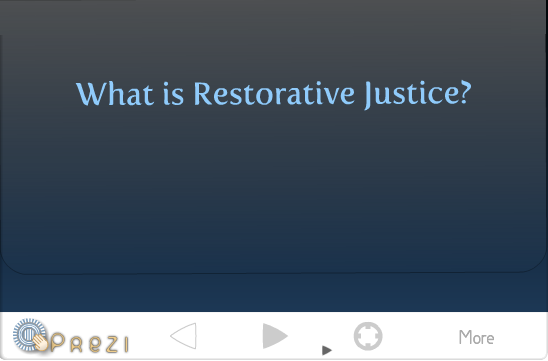 Within the European project we were constantly keeping the restorative principles in mind as the basis of our practice. However, each partner had to make some modifications to the methodology received from the Gatensbys in order to tailor the practice of circles to our cultural, legal and institutional contexts. It should also be emphasised that as part of the action research we had to challenge the existing mediation frameworks while adapting the circle approach into the system. We found that while certain elements of circles are well embedded in the Native American culture, they cannot be necessarily adapted into our European context. (As an example, we can think of the difference between the green nature and the spirit of fire compared to a grey statutory office with artificial lights, led by professional mediators and officials within a bureaucratic criminal justice system). As can be seen from the above approach, we do believe that the methodology of circles cannot, and should not, be set in stone. Practitioners applying circles are encouraged to be sensitive to the circumstances under which they are working. In other words, everyone should feel free to adapt and try new elements that fit into the normative standards of their people that might effectively serve the main objective of circles, namely to help the flow of honest and respectful communication between people. This was the philosophy underlying the purpose of this Handbook. We documented everything in order to show how we did our practice ‘as best as we could’. But what you read here is just one of the possible approaches. We encourage all the readers to constantly stay innovative, reflective, and flexible within the contexts they are working in – so that the ‘magic’ could happen in each circle! Tiszta szívből gratulálok, fantasztikus eredmény ez! Bizakodom, hogy elkészült majd a magyar nyelvű változata is a kézikönyvnek, és a békítő körök magyarországi gyakorlata is nagyobb lendületet kap majd. Készítettem egy prezentációt a "Helyi közösségi rendészeti iroda" kísérleti jellegű működésére, a modellben a mediátorok is szerepet kapnak. Javaslatomat továbbítottam a lakóhelyem RK vezetőjének, és polgármesterének - ezidáig választ sem kaptam, okát nem tudom. A prezimet terjesztem mindazoknak, akik szívesen cselekednének a helyi szinteken polgáraink valódi biztonsága érdekében. További sok sikert és jó egészséget kívánok a Foresee Kutatócsoportnak, Mindnyájatoknak!